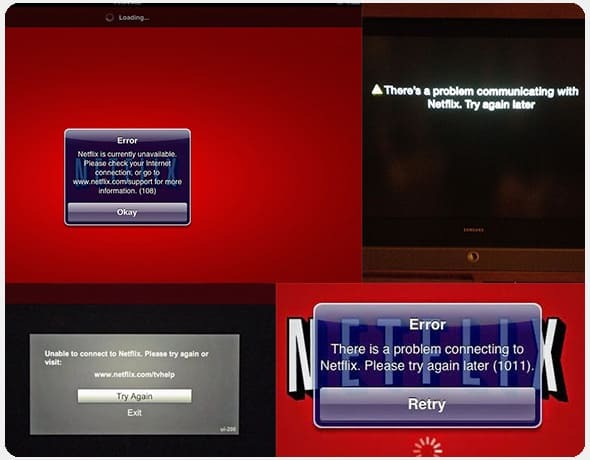 Get the full solutions to all common Netflix errors/problems regarding Netflix logging, connection, buffering and streaming. I can no longer watch Netflix in any browser after upgrading to Windows 8. I get a DRM error N8156-6013. I get this error in all browsers.Plz help me out, quite thanks! Summary: There are dozens of Netflix errors/problems concerning Netflix connection, and streaming. This post only picked out some typical ones with specific Netflix error messages/codes, reasons and [how to fix] solutions. Latest News: Many European users from US, UK, Switzerland and Germany were complaining that Netflix was down on March 14, 2018. They failed to enjoy movie and TV streaming service. And even after Netflix officially announced that it went back normal, the error is still not resolved for many users. If you happen to be one of them, you can refer to the troubleshoting tips in how to fix Netflix down. After announcing the shutdown of Asgard that managed the cloud resources of Amazon web services, Netflix on Dec. 16 launched its new open-sourced and multi-cloud software code/platform - Spinnaker, which makes it easy to extend and enhance cloud deployment models on Amazon cloud, Google's cloud (See detailed Netflix blog). And a recent study shows that Netflix caused 50% of U.S. TV watching drop in the past 2015. In July, 2016, Netflix Windows 10 app error bring much inconvenience to Netflix Windows 10 users. Fortunately, it soon went back normal. Download Netflix movie/TV show videos from YTB, Dailymotion, Vevo, FB etc. Stream and watch downloaded Netflix video on TV or other devices. Play rented or purchased Netflix movie DVDs effortlessly. 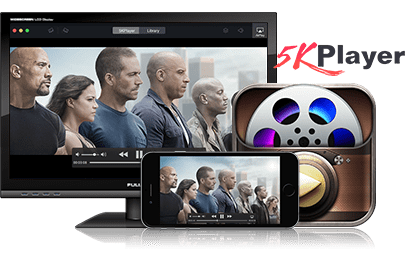 • Deactivating the Netflix streaming device, like iPhone, iPad, TV, Wii, Roku, Chromecast, Xbox, PSP, Android, restart it again, sometimes you can even do Factory Reset like Roku. >> Detailed steps according to devices. Message: There is a problem connecting to Netflix. Please try again later(1006). • Power off Android device and restart it to stream again. Message: There is a problem connecting to Netflix. Please try again later(1011/1012). Browsing any webpage from your device to test the Internet Connection. If it can not open the page, you may get the Internet connectivity issue. If not, continue troubleshooting below. Power off the device completely for about 10 seconds and then restart it, launch Netflix for streaming movie/TV show. Unistall/Delete Netflix from your device and install it again from App Store, then press Netflix icon to sign in and stream. Power off computer -> Power off all of your home network equipment (unplug the modem/Wi-Fi router from power) for a while, better more than 30 seconds -> reconnect your modem/Wi-fi router -> run Netflix again to stream. * Connecting another Wi-Fi to stream on Netflix is a better way to eliminate your currently using network is the root cause. 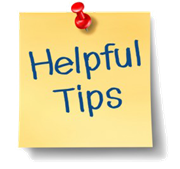 If it still does not work after you tried all things about Internet connectivity, you are highly suggested to contact your Internet Service Provider. * If you're using Wi-Fi network and the solution does not help, you can connect your computer to modem directly with a cable to see if the Wi-Fi connectivity is the source of the problem. If it is, just contact the person who set up your home network or the equipment provider for checking. 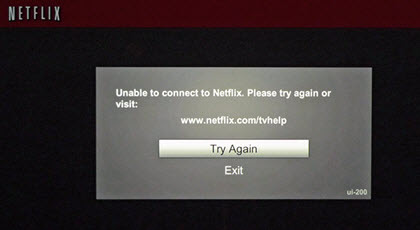 • If there's still an error when run Netflix again, tap "Play" -> "Deactivate/Sign out" on the TV remote. If the error message appears when playing Movie/TV, press "Menu" to turn to "Who's Watching Netflix" -> "Sighout", and then sign in again to stream. • Update Apple TV'S firmware by choosing "Setting" -> "General" -> "Software Updates" -> "Update Software/Update automatically" -> "Download and Install"
Error message: We're sorry, but there is a problem playing protected (DRM) content. Instead of fixing Netflix connection/buffering errors, you can freely download, play and AirPlay any 720p/1080p4K/8K online movies with 5KPlayer! Since there are piles of Netflix errors/problems and usually vary from device to device, here we just list some top searched Netflix errors on common devices like Apple series and computer. If your error is out of the range, we advice you go to Netflix Help Center for searching, or create live chat with its online customer service representative, or directly make a call to him: 1-8666-579-7172. How to Watch Zootopia on Netflix in 2018?